Site Placement Results; Right On The Portal! Site placement can make a dramatic difference to your release’s sales. Every week, the label management team at Kudos sits down and reviews all our digital releases. We then decide our placement strategy; which tracks we are going to pitch for site placement to which store. We use a number of criteria to decide which store to pitch a given release to. Some digital stores are very genre specific, others will only feature an artist with a track record and sales history, or a high level of pre-sales. We also look at what additional assets we have, such as an exclusive bonus track, or whether there is an option for a short exclusive sales period. 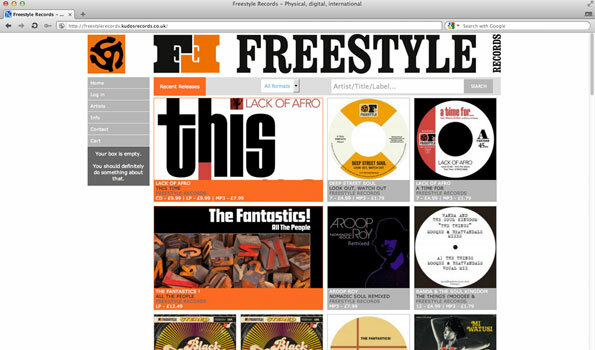 If you log in to your label portal and navigate to ‘Digital’ and click on ‘Screenshots’ you can select your new release and see exactly what we have pitched for. If you are thinking of ditching the expensive and often wasteful activity of posting out physical promos copies, and fancy moving across to a digital promo platform, you could do worse than create your own DIY digital promo system. You can create a pretty effective system using a combination of SoundCloud, Google Docs, Blogger. and Dropbox. All these services provide free accounts with enough functionality for your purposes. In fact, those nice SoundCloud people are offering discounts on SoundCloud Pro Accounts to Kudos Distributed Labels. You will find the discount code on our label portal (where you get your statements, and complete your metadata) in the updates section. Google Docs and Blogger requires a Google Account (if you use Gmail, you already have one of these). A 2GB dropbox account is free. 1/ Create a Set for your release in SoundCloud. SoundCloud is very intuitive to use. 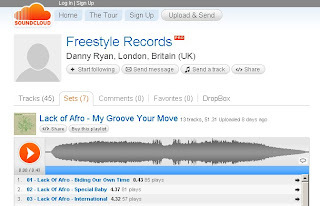 Upload your audio (MP3s are fine, SoundCloud can handle most formats). Complete the details for each track, and upload the cover art. Before you finish, navigate to your favourite pre-order supporting download store (7 digital works pretty well, as does Juno and Play.com) and provided you have completed your metadata on our digital portal in good time (a couple of weeks earlier), you should be able to find the pre-order link for your release. Copy this link and paste it into the “buy this set” link. You can always add this later if the link isn’t available yet. Claremont56 join our distribution family! We’re very, very pleased to add Claremont56 to our distribution family. Claremont 56 is an independent record label dedicated to releasing beautiful music with a long shelf life that doesn’t aim for the next big trend – music that has been lovingly crafted and genuinely felt.